In the ecommerce industry, site performance means a lot since it creates a different impact on the sales and support of an online store. Customers are increasingly impatient and will abandon the shopping cart within seconds if the store doesn’t load up quickly. Cloudways -- For a starting price of $7 a month! With an army of open source innovators, the Magento keeps the merchants at the front when it comes to online shopping trends. By pairing Magento with a top-notch hosting plan, your store can burn rubber right off the starting line. We’ve found that shared hosting is not much reliable especially when we talk about Magento stores. We prefer cloud hosting over shared hosting. Why? Because shared hosting provides you limited speed and poor software configurations in comparison to cloud hosting. With cloud hosting, you receive all the power of a dedicated server with the ability to have your own set of services and manageable configurations. You can perform any action and can handle every single request with ease. But even when choosing a cloud hosting server for a Magento store, we have another problem here. You still depend on your System Administrator because a low-tech person can’t handle the server configurations and services on their own. Recently, we came across Cloudways, a managed Magento hosting platform for Magento stores. They were offering a free trial of 14-days. We decided to try it out. After using Cloudways, we realized that with the help of a managed Magento hosting solution, you don’t have to worry about server related issues and configurations. Even a non-technical person can deploy and run a Magento store with ease. As already mentioned, Cloudways is a managed cloud hosting platform. With Cloudways, you can deploy applications on data centers like Amazon CE2, DigitalOcean, Google Compute Engine, Vultr, and Kyup Containers. The platform takes care of all the optimization, server setup, and other software needs so you can focus on what really matters. Prices start at $7/month, and you get the one-click installation of apps and servers. There are too many features to Cloudways, and giving that 14-days free trial a go may be the best thing you can do to try it all out. When it says managed cloud hosting, they really mean it. Once you jump on the Cloudways bandwagon, you forget about the worries of managing your servers. Whether you are a blogger, a merchant, a startup company, or a traveler with a penchant for sharing your travelogs, Cloudways is the best place to host your website on. With features like one-click installation of servers and easy deployment of apps, you need no experience or in-depth knowledge of hosting or managing servers to start your website. The ThunderStack is what helps Cloudways platform stand apart in a sea of hosts. If you’re wondering what ThunderStack is, it’s one of the fastest hosting stack ever, and it’s a unique Cloudways formula that makes the websites running on the platform blazing fast. The stack consists of Linux, NGINX, Apache, PHP-FPM, MySQL/MariaDB with additional Varnish cache, Memcached, and Redis. The platform also supports PHP7 and other latest technologies. The power of this stack creates an environment on Cloudways platform that guarantees that your website runs optimally. Cloudways knows that security should be the top priority, and it takes it very seriously. In our usage, security was almost never a concern. They update their servers regularly, secure the OS layer and keep applying security patches on a frequent basis. And these are just some of the features that the platform boasts of. For a starting price of $7 a month, Cloudways has genuinely been the best Magento Cloud Hosting we’ve tried yet. Even their payment solutions are amazing. The best thing about the platform is that it employs the pay as you go, model, which means that you pay only for the time you have used the server. So if you start using a server on the 1st of any month and you decide you want to halt the service by 15th for some reason, you only have to pay for the 15 days of usage, and not the whole month. This is perhaps a huge reason to give Cloudways a try because you only have to pay for the resources you use, and not extra. Cloudways support is something we’ve heard both good and bad things about. However, in our experience, since everything had been going smooth, even the support went by without much hassle. Their support team is available 24×7 to solve your problems, and the way they do it simply deserves a tip of the hat. We didn’t really have much of a problem, but we wanted to give it a test, and they cleared the test with flying colors. Perhaps there might be a better alternative to Cloudways out there, but do we feel inclined to try anything else right now? Not at all. Cloudways has been the perfect blend of a host that not only provides an excellent service at an unbelievable price but manages to stay true to all its promises of features, security, and excellent support, etc. 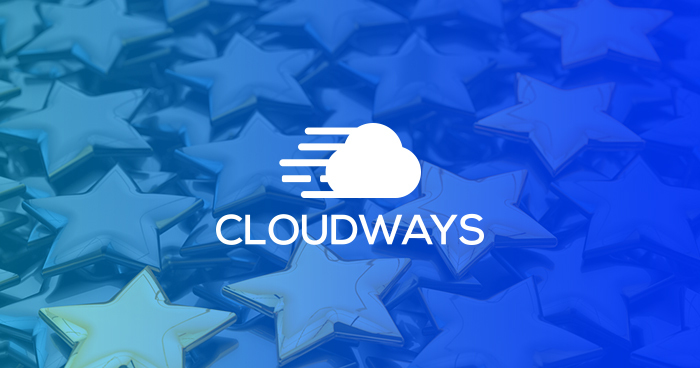 We recommend all our readers to try Cloudways for free. And if you’re willing, we’ve hooked you for a $15 worth of credit for your Magento hosting on Cloudways. Use the coupon code HOSTMAGENTO to sign up and claim this amazing deal right now! Yes. Cloudways is awesome. They use digital ocean droplets but the quality they provide is awesome. You can treat it as a managed hosting for any platform. Like wordpress joomla or magento. and the price is also cheap. I have used cloudways and I must say they are awesome. Their support is awesome and I always interact with their team on Skype and they help me always. yeapp.. I also used magento hosting and sometime i recommend others to use magento for long lasting faster server. Here is few example of magento hosting site: https://www.snkcreation.com/ , even i am going to start new blog that also based on magento hosting. Actually its fabulous!